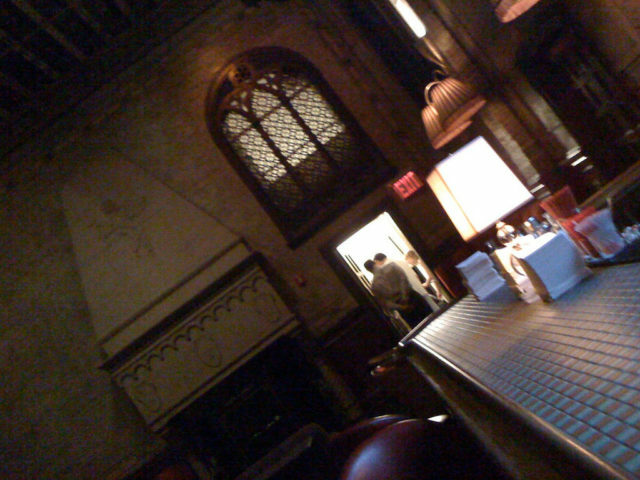 Once the office of a New York City millionaire, then a beautiful cocktail bar, the Campbell Apartment is open to the public. 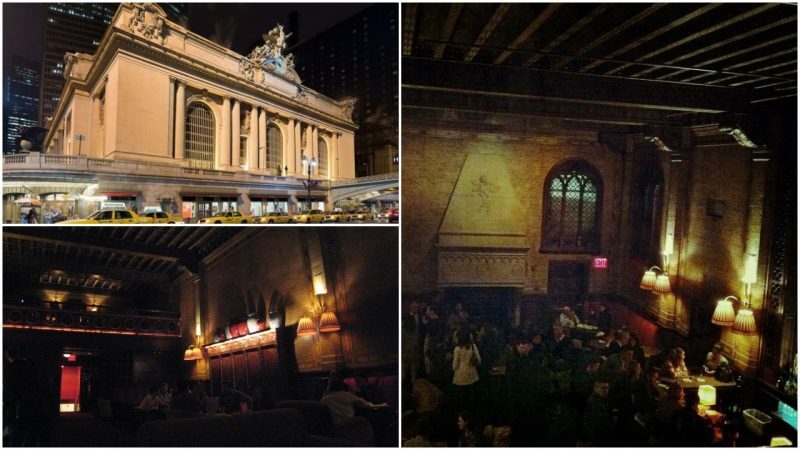 This secret place at Grand Central Terminal, hardly known to anyone in recent years, is serving drinks again. 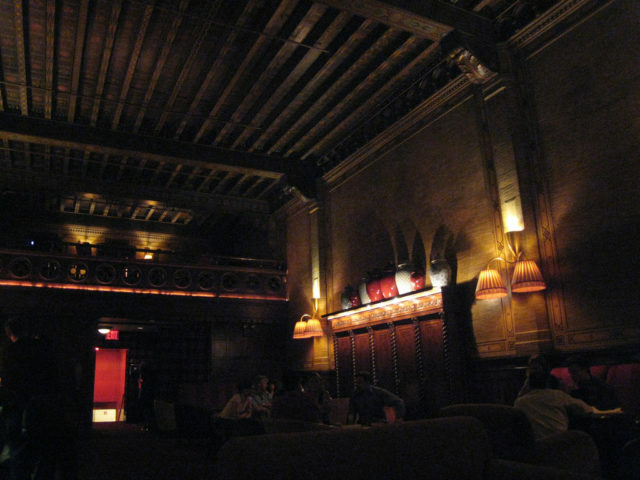 Now everybody can have the chance to enjoy its swanky Jazz Age atmosphere. The Campbell Apartment story begins in 1923, when John Williams Campbell, a millionaire and the chairman of the board of the Hudson and Manhattan Railroad, acquired the space from William Kissam Vanderbilt II. Vanderbilt, whose family built Grand Central Terminal in Manhattan, later became president of the New York Central Railroad Company. Campbell wanted an attractive location for his office, so this spacious midtown-Manhattan apartment was perfect for his needs. 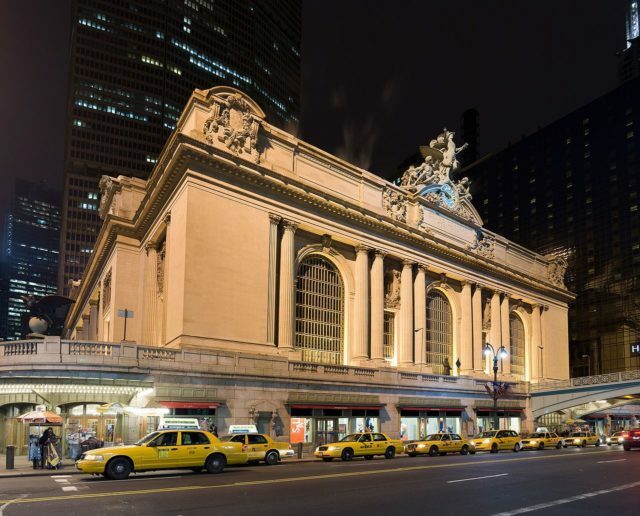 Situated in the southwestern corner of the Grand Central Terminal building, the apartment could be reached by a carpet-covered staircase located at the balcony level of Grand Central Terminal. Campbell commissioned Augustus N. Allen, a prominent architect, and designer, to transform the apartment into a luxurious office. Allen did an excellent job, managing to re-create aspects of a genuine 13th-century Florentine palace. On the ceiling of the office soared a huge, hand-painted fresco of Paris, lead bars were found in the windows, and mahogany gleamed in the balcony. The floor was covered with an enormous Persian carpet. It is estimated that the apartment cost $300,000, or $3.5 million in 2017 money. Campbell decorated the walls with $1 million’s worth of paintings and brought in quite an expensive wooden desk for himself. There was also a false fireplace, in which Campbell hid a safe for his most valued possessions. Completing the space: a pipe organ and a piano. At night, Campbell transformed his formal office into a place for parties for his closest friends. At these exclusive receptions, guests heard many famous musicians from the thriving New York City jazz scene. After Campbell’s death in 1957, the office was abandoned and left to deteriorate; many valuables, such as the expensive carpet and the furniture, disappeared without a trace. The empty space filled the different roles of a signalman’s office and a closet for Grand Central Terminal. Later, the office was given over to the transit police, and even used as a weapon storage and jail. The apartment was also used by CBS Radio, serving as their studio for a while. After years of decay, the Campbell Apartment got a new owner. The lease was acquired by Mark Grossich, whose company, Hospitality Holdings, Inc., owns cocktail-lounge bars and spaces such as New York City’s World Bar in the Trump World Tower, and the Empire Room in the Empire State Building. Grossich invested around $2.5 million in a complete restoration and renovation of the apartment. 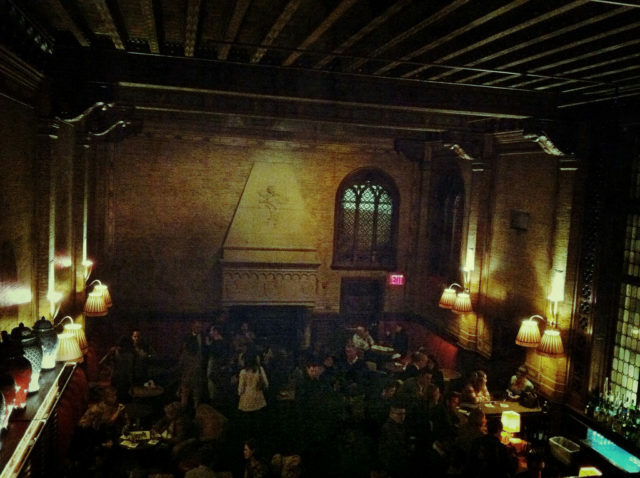 The Campbell Apartment was reopened in 1999 as a bar and cocktail lounge. Another renovation in 2006: changing the theme color of the bar from blue to red. A new carpet was added, and the bar stools and chairs were replaced. All of this was done in less than 12 hours for the cost of $350,000. The lease of the Campbell Apartment expired in June 2016. Starting last July, the bar was closed while a legal battle between Mark Grossich and the Metropolitan Transport Authority took place. The authorities were against the continuation of the lease because they planned to modernize the Terminal and designate the Campbell Apartment space for some other use. New Yorkers were definitely against such plans. People who had glimpsed inside the Campbell Apartment or sipped a martini at the bar didn’t want to see this part of the city’s history, and a reminder of a bygone era, disappear. After a petition had been signed by many people asking for it not to be destroyed, the apartment was saved. The Campbell Apartment reopened in May of this year with a new owner. Scott Gerber is also the owner of the Gerber Group that now takes care of the bar. Gerber says he plans to keep its traditions going. The Campbell apartment, which was once a “public secret” only available for high-class citizens who were friends of the owner, is now open for everybody. The old dress code of the bar (cocktail dresses and dinner jackets) is gone. Gerber promises to keep the place inclusive. The Campbell Apartment bar is here to stay, to satisfy the city’s need to embrace the charm and elegance of New York’s past.